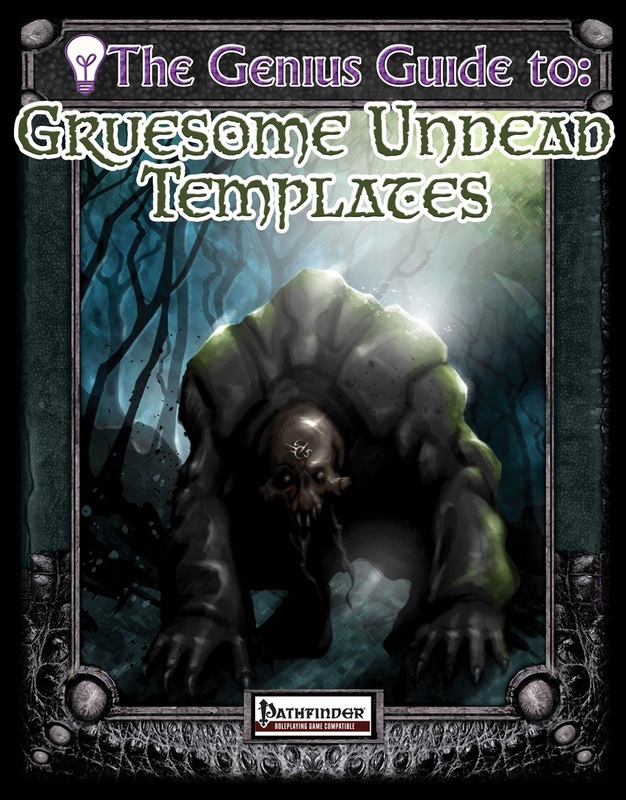 Hey, The Genius Guide to Gruesome Undead Templates got a new 3/5 review at DriveThruRPG . Let’s look at it! That’s only a few? I mean, that’s six templates specifically for undead, specifically to make them more gruesome. Is there a lot of call for that, so a single GM is likely to need, say, 12 such templates? But okay, he wanted more. ‘Always leaving them wanting more,’ I’m told. So far, so good! It sure did! Seriously, thanks for noticing. Great! I wonder when we get to the part he doesn’t like? That’s a great note for a review! It lets me know he noticed the extra effort to add info for multiple senses, and to make the templates easy for a GM to add in a colorful way. AND it’s worthy. Awesome! I mean seriously, if you don’t feel the need to add something to your undead, DON’T BUY THIS. It’s one of the reasons I like our pdfs to be single-topic products. If you don’t want to use a redesigned fighter, don’t buy The Genius Guide to the Talented Fighter. If you don’t like the idea of feats that give you multiclass powers, don’t buy The Genius Guide to Feats of Multiclassing. And if you don’t need to add new “layer” to your undead, I agree you might find your money better spent elsewhere. And THAT”S IT. Nothing else negative in the review. The best 3/5 review I’ve ever gotten! Posted on August 30, 2013, in Uncategorized. Bookmark the permalink. Leave a comment.